Overnight at Cairo and start your Egypt Trip Tour Package. Transfers to the train station for your overnight Sleeper train to Luxor, Dinner on the train. Lunch on board, Sail to Esna, Afternoon Tea, Disco Party. Breakfast on board. Visit the Temple of Horus in Edfu. Sail to Kom Ombo – Lunch on board. Sail on the Nile by felucca around Kitchener’s island and Agha Khan Mausoleum. Afternoon Tea, Dinner on board. Breakfast in Train .Arrival, meet & assist by our local representatives and transfer to the hotel. • 3 Nights hotel accommodation in Cairo on B&B basis. • 2 Nights sleeper train on H.B basis. • 4 Nights on Cruise board (Luxor & Aswan) Full board (sightseeing included). • All transfers in Cairo, Aswan and Luxor. • All your tours and excursions are with Private AC Car. 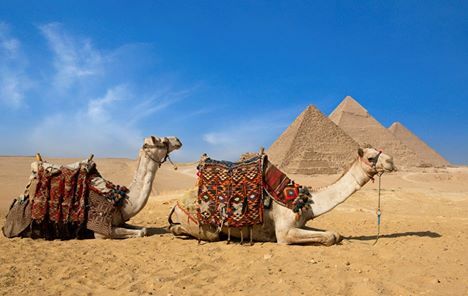 We hope that you will enjoy your Egypt Trip Tour Package.